In April 2001, Pilgrims Global Ltd was founded by our Managing Director, David Allison. 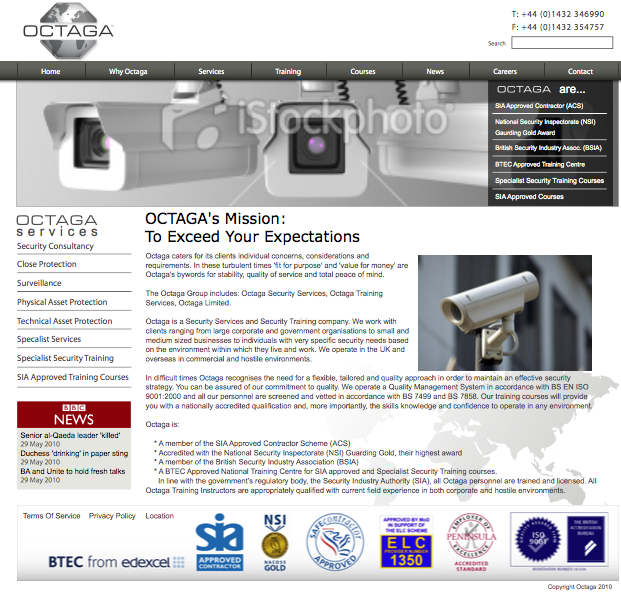 To date, Octaga is one of the leading security and risk management companies in the UK, holding NSI Status in both Physical Security and Technical Systems; the Industry’s highest Award. They are also accredited in NSI Systems Gold, Safe Contractor and a BTEC Edexcel Approved National Training Centre for SIA Security Training courses.